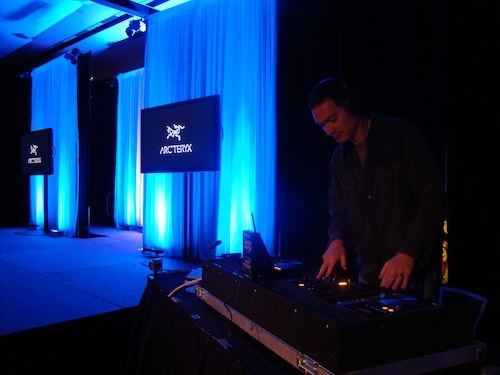 My second year with the Arc'Teryx Fall Fashion Show - this time at the new Vancouver Convention Centre. A huge crowd from all over the world came out to this amazing event (organized by my good friend Diane Gagne) and it was stunning to be a part of it. All of the scenes represented a different line of clothes and we selected music that fit each of the scenes right down to the final second - a lot of work goes into these shows but it was worth it especially when I'm spinning some deep Ibiza style house beats!